Our menu is divided into three main sections: Deli sandwiches, Brunch and Appetizers (spelled the american way with a z). Understandably many people assume that the appetizers are our starters or dishes that offer a lighter alternative to the meat heavy staples to be found elsewhere on the menu. This is partly true as our appetizers mostly consist of smoked or pickled fish but it doesn’t explain the use of the word appetizer. Aron’s doesn’t operate a kosher kitchen for reasons that I will do my best to explain at a later date. However we do make a conscious effort to adhere to many of the principles of a kosher kitchen – for example our use of cuts of beef and veal from the forequarter and not the hindquarter which can’t be used to produce kosher meat. In this way we endeavour to bring a little more authenticity to our food. The original New York Jewish Delicatessens were established in the late 19th Century to feed the Jewish immigrant community . Many of these immigrants were single young men who worked long hours in the rag trade to make enough money to bring over the rest of their families. In the absence of a grandmother to cook for them, the delis provided this new community with much needed kosher home cooking. The deli sandwich developed as an effective solution to the problem of greasy finger marks spoiling the client’s expensive cloth. But a kosher kitchen requires the complete separation of meat from dairy and the Delicatessens, some of them in tiny premises were full of sausage, smoked meat and chicken. 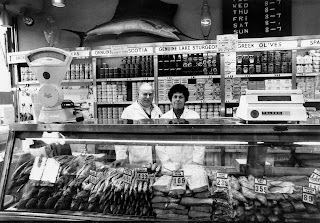 The solution to this problem was peculiar to the development of Jewish food in New York with large numbers of Appetizer shops producing and selling dairy products (cream cheese and sour cream) as well as fish in all manner of variants but absolutely no meat! 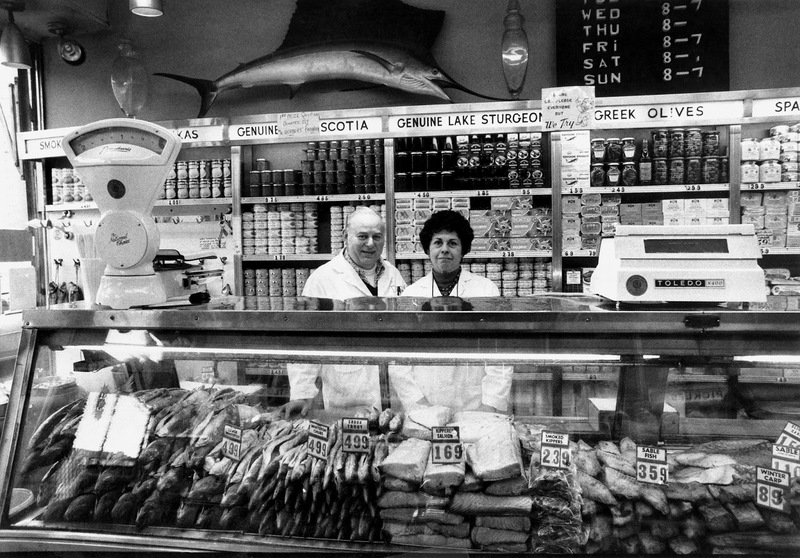 Russ and Daughters is one of the last remaining appetizer shops in New York. So our appetizers, whilst produced in the same kitchen as our sandwiches, are named after this NYC tradition of pickled herring, smoked fish salad, smoked salmon, lox and cheese blintzes etc. A large part of the satisfaction I get from running Aron’s Deli is through learning about the rich culture and history of Jewish food. The stories behind the food we make at Aron’s.